A family law attorney specializes in domestic and family matters. They can help you with divorce, custody, visitation, alimony, child support, and appeals. 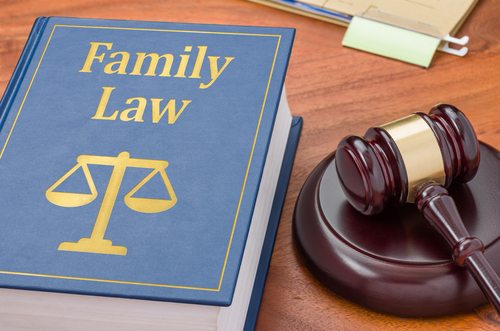 Most family lawyers accept a range of cases, including high asset divorces as well as modifications to your divorce decree. Having the right attorney working for you on your behalf can make a big difference to the outcome of your case. When a marriage is dissolving, both partners need an experienced attorney who can take over the intricate aspects of the divorce. In rare cases, getting a divorce is as simple as having the partners cancel the lease and driving off in their separate cars. However, if you own any joint assets and debts, your divorce decree must state how these are to be divided. Divorces get more complicated when more assets are involved or if the couple has children. A high-asset divorce includes complex property distributions, which can be in the form or real estate or businesses. It’s easy to divide bank accounts and public stock holdings, but real estate holdings and company ownership are different. With significant assets, it’s necessary to hire a financial expert to assess the value of the joint holdings. The next step is to figure out a fair way to divide those assets, which can include selling some or all of them or transfer ownership from one spouse to another. It’s important to hire an attorney who can help you navigate your financial situation and set you up for the future. You don’t want to be treated unfairly while your ex keeps the retirement accounts and gets out of paying child support. Similarly, you don’t want to be saddled with large debts unless you have assets to back those up. If you are married with children, your divorce is not just about dividing your assets. Instead, you’ll need to hire a family law attorney who can help you make arrangements for child custody and visitation. Most judges agree that parents should have joint custody of the children and make important decisions together. Children need both of their parents, and the court system has come to recognize that. In most cases, one parent will have physical custody of the children. The other parent is usually granted generous visitation rights, as agreed upon during the divorce. There are some instances when custody is only granted to one of the parents, but usually the other parents must be found unfit. In the case of domestic violence, your attorney can help keep you and the children safe from the violent parent. If you’re not granted sole custody of your children, it may be very difficult to move to another area or to another state. It’s understandable that some parents may wish to move back home to be close to other relatives, but it can be difficult to remove your children from the vicinity of one of their parents. If you want to relocate with the children, you will need an experienced attorney to help you. After you have settled custody and visitation rights, you still have to agree on alimony and child support amounts. It’s obvious that there is room for lots of conflict in this area, where one person’s gain is the other one’s loss. Fortunately, an experienced attorney can help you arrive at a solution that makes sense for everyone. Alimony and child support payments are often income or asset-dependent. It may be possible that the amounts need to be altered as time progresses, especially if the financial situation of one or both of the partners changes. Even though it takes several weeks or even months to create a divorce decree that spells out the terms of the separation, there may still be room for modifications down the road. Many things can change, including where the divorcing partners live and work. Your attorney can help you modify parts of the divorce decree. If you’re not satisfied with the ruling from the court, you can also appeal the decision. You’ll need experienced counsel in order to draft the right documentation, but it may still be possible to achieve the outcome you envisioned in the first place. If you need assistance or have questions about your divorce, it’s a good idea to talk to a family law attorney. At The Harr Law Firm, we are ready to help you navigate through this difficult process. Use our contact form or give us a call to get in touch!